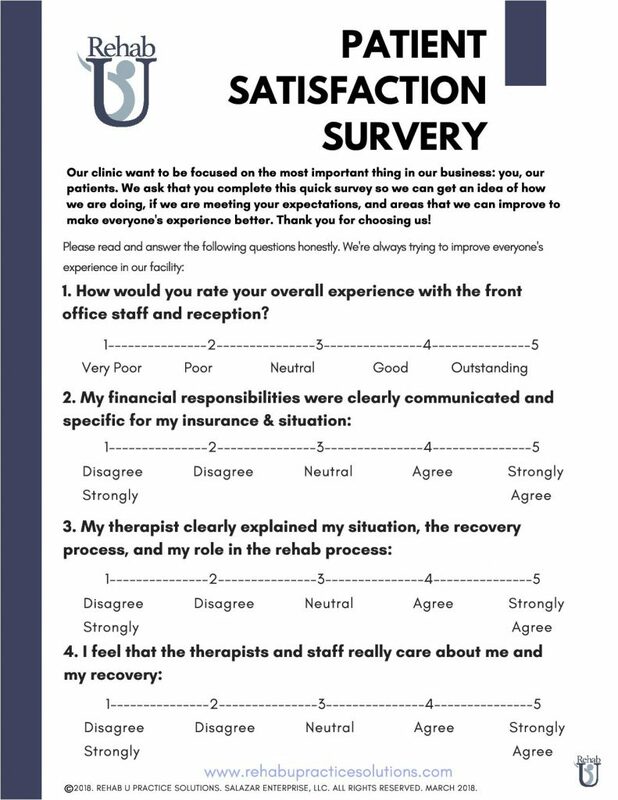 Here is a free, simple patient satisfaction survey that can help you get an overall idea of how your clinic is doing in meeting the expectations and needs of your patients/clients. It’s 6 questions long, and very easy for your patients to fill out. You can even get fancy and put together a little excel spreadsheet, hop on youtube, and start analyzing the results to get an even better idea of how your patients perceive their experience in your clinic. If you’re on a budget, or just need something simple, this surgery should meet your needs. This is free version of our full Patient Satisfaction Bundle, which contains everything from detailed satisfaction surveys, excel analyzing document, and patient experience improvement resources.